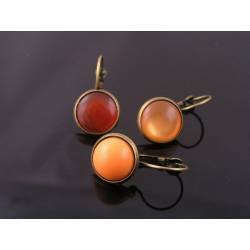 These are intriguing gemstones. 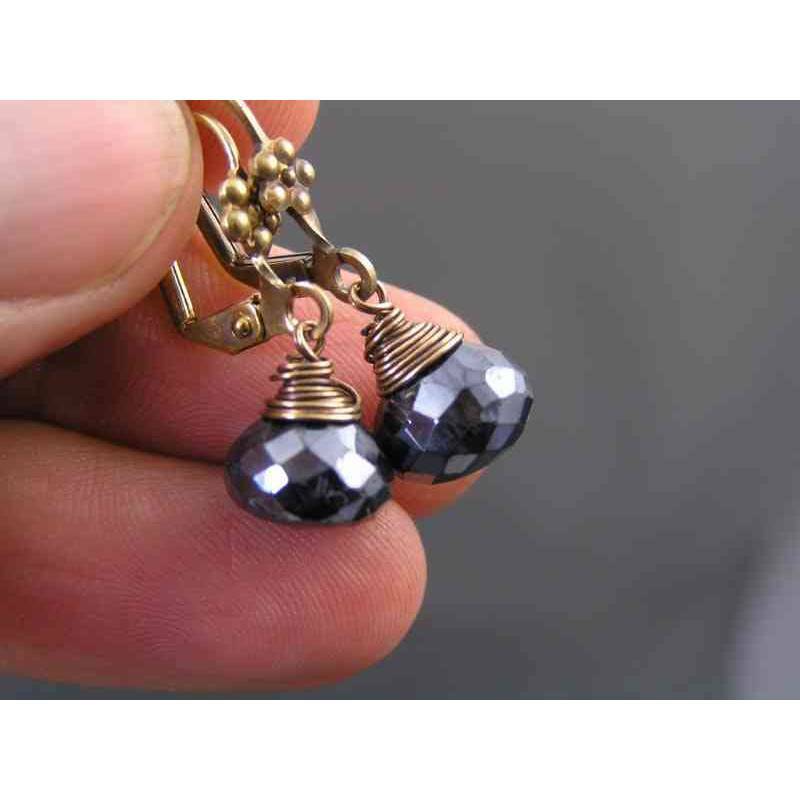 They are genuine black spinel that has been treated with a mystic coating. 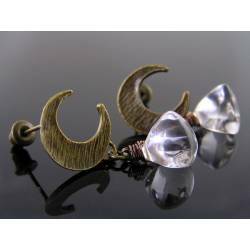 And - I have to say - this coating is particularly nice and give the stones a fabulous metallic shimmer. 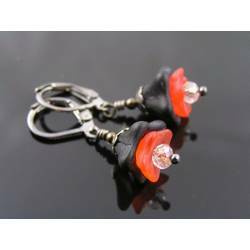 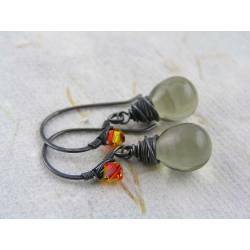 I have wire wrapped them to secure lever back ear wires which are embellished with a little flower in the front. 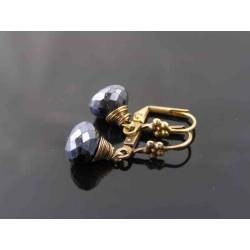 - The eye-catching micro faceted, onion shaped Spinel gemstones are a large 10mm in height. 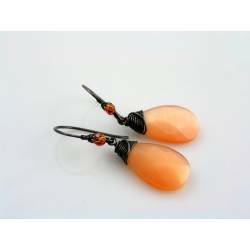 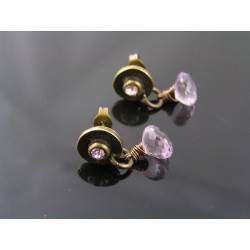 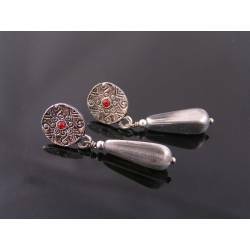 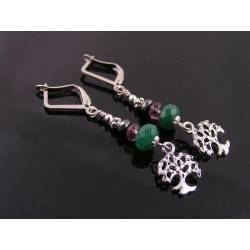 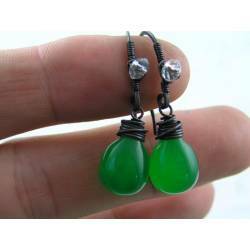 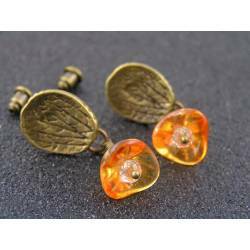 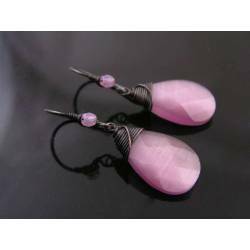 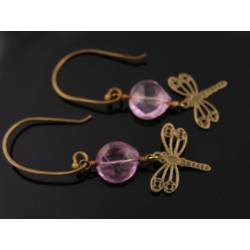 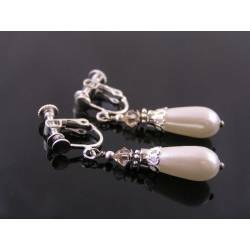 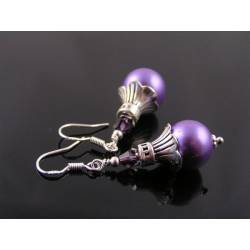 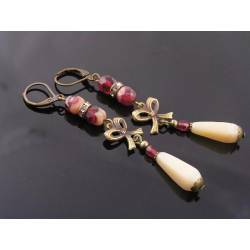 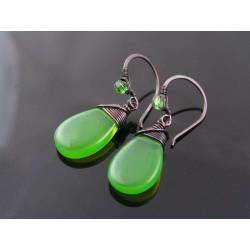 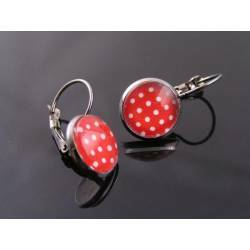 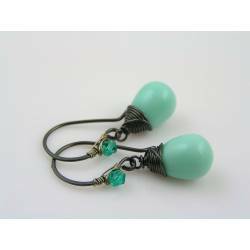 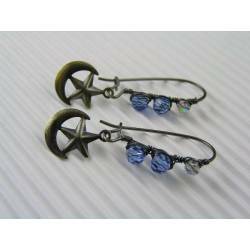 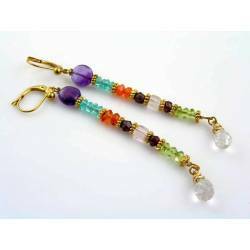 - The earrings measure 27mm in length. 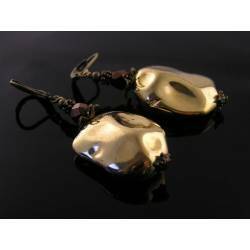 - All metal is solid brass which I hand oxidised, tumble polished and sealed so that it is going to keep its colour and shine. 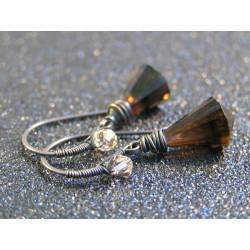 - I can make these earrings in other metal options (sterling, gold filled, copper, oxidized copper/sterling, bronze finished and vermeil). 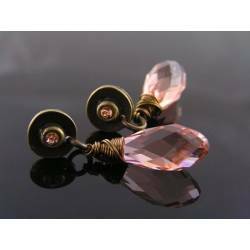 I have lots of other gemstones available too. 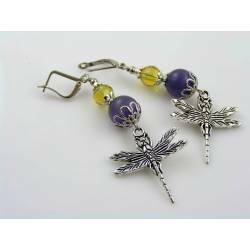 Please contact me for these additional options.